The return of Suede was one of the highlights of the year for me – not for a run-through of the hits, but with a great album that stands comparison with their first three. I really regret not getting the chance to see them on this tour, but I think another album is likely so fingers crossed. 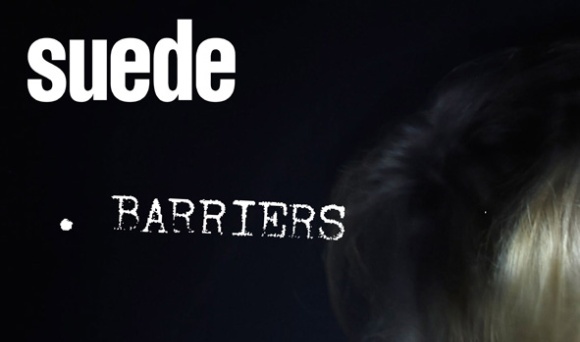 I could have gone for any of the five singles lifted from Bloodsports, but I am going for the first, ‘Barriers’, performed here live at a great Maida Vale session on BBC 6 Music back in February. After a 5 and a half-hour journey from hell back from London today, my festive spirit has been well and truly diluted; however Merry Christmas to one and all ! My Number 7 is ‘New Town Velocity’ by the genius that is Johnny Marr – described completely accurately by Richard as “the best song Electronic never wrote”. Johnny returned to the fray with a set of tunes that would not have been out of place in his Smiths days. He was also in scintillating form out on the road and the gig at Brighton in April was by far the best and most emotional gig I’ve been to in many years and will live long in the memory.